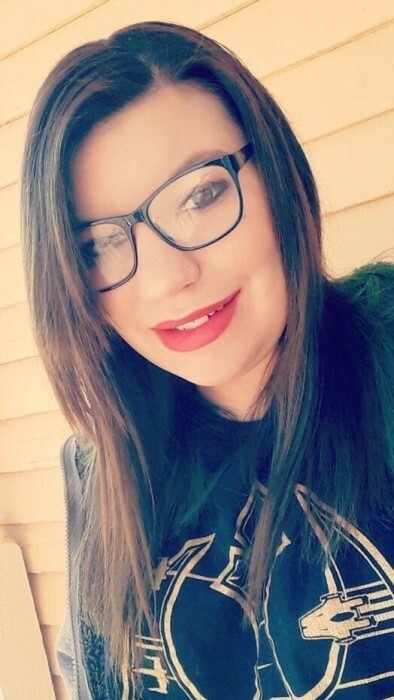 Obituary for Farrah Rutherford | Lanman Funeral Home, Inc.
Farrah Marie Rutherford was born on December 28, 1995 to Johana Kirk and passed away at her home in Alva on January 7, 2019 at the age of 23. Farrah had a bright personality and was always one who could light up a room with her smile and laughter. On October 8, 2011 Farrah’s mom, Johana married Donny Kirk. It was on this day that Farrah gained the father she would look up to and the man she would call dad. Farrah was always up for an adventure, a very bright hair color and picking on her brothers and sister. Even if she did pick on them she still loved them fiercely and always tried to be involved in all that they did. On December 30, 2016 Farrah said yes when her boyfriend, Cory Zetterberg, asked her to be his wife. It was then that they began to plan their future together. The two welcomed their son, Cooper Lee Zetterberg, into the world on May 25, 2017, which was the happiest day of their lives. Farrah spent every moment she could loving Cooper and spoiling him like crazy. He was and always will be her pride and joy. Farrah was loving and when she loved she loved deeply and her family and friends who are left behind to mourn her loss will always remember her for her love for them and her bright spirit. We find peace in knowing Farrah was met at Heaven’s gate by her younger brother, Junior, whom she had missed every single day since the day he left this earth and also her Nana. We know they are now together, happy and will watch over all of us until we can be with them again someday. Farrah is survived by her parents, Donny and Johana Kirk of Lahoma; her fiancée, Cory and son, Cooper of Alva; her brother, Clayton and wife, Monika of West Allis, Wisconsin; brother, Jacob Kirk and sister, Serenity Kirk of Lahoma; her Papa, Jeff Wirt of Milwaukee, Wisconsin; her grandma, Oletta Kirk (Papa Steve) of Aline; grandparents, Bob and Rhonda Kirk of Lahoma; her niece, Hope; nephew, Logan; aunts; uncles; cousins and friends. She was preceded in death by her brother, Junior Kirk and her Nana, Susan Wirt. The family ask that you remember Farrah as the loving mother, daughter, sister and friend she was. Celebration of life service for Farrah will be Saturday, January 12, 2019 at 10:00 a.m. at Cherokee First Baptist Church. Burial will follow at Cherokee Municipal Cemetery with arrangements by Lanman Funeral Home, Inc. of Cherokee. Facebook: Lanman Funeral Home Inc.
Memorials may be given to the funeral home on behalf of the family.